Royal Tunbridge Wells is a large affluent English town 60 minutes away from London and just moments from the South Downs. 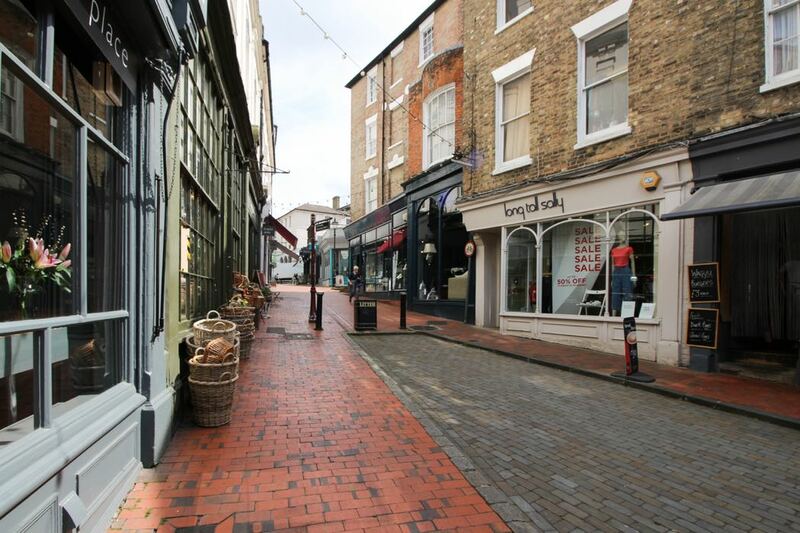 The Pantiles is the prettiest corner of the town as well as its historic and tourist centre. 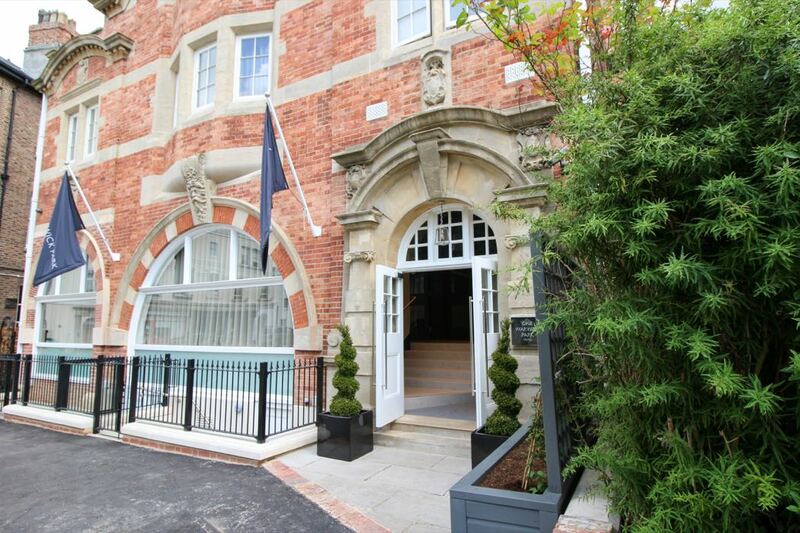 It is also home to the newly opened One Warwick Park, a hotel which we visited during a balmy English summers weekend. The venue for our stay in Royal Tunbridge Wells was One Warwick Park. A brand new hotel sitting within in an old red-brick Victorian building that, after a complete refurbishment, offers an utterly stylish getaway. I am a sucker for anything new, but One Warwick Park offers another level of finish. 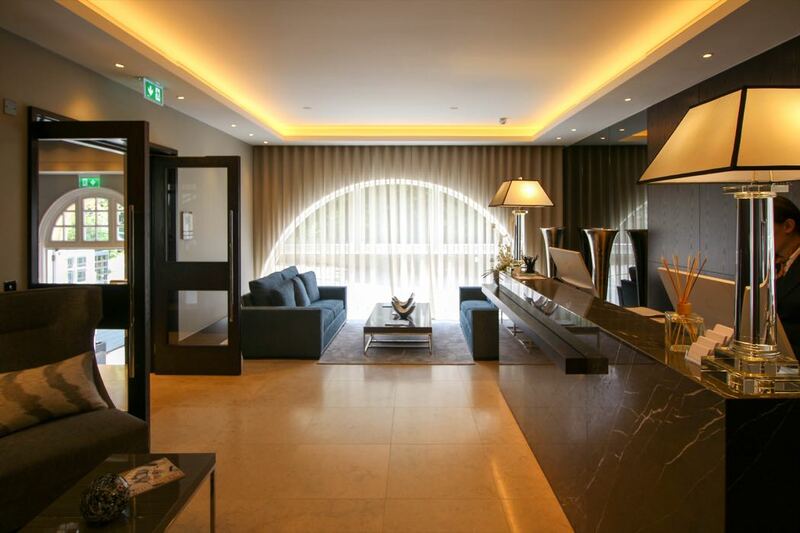 The reception area is a mix of dark woods, stone tiling and plush soft furnishings. Behind this sits a petite bar area, (pictured above), where huge pieces of artwork and lovely decorative pieces combine to create a flawless contemporary look. 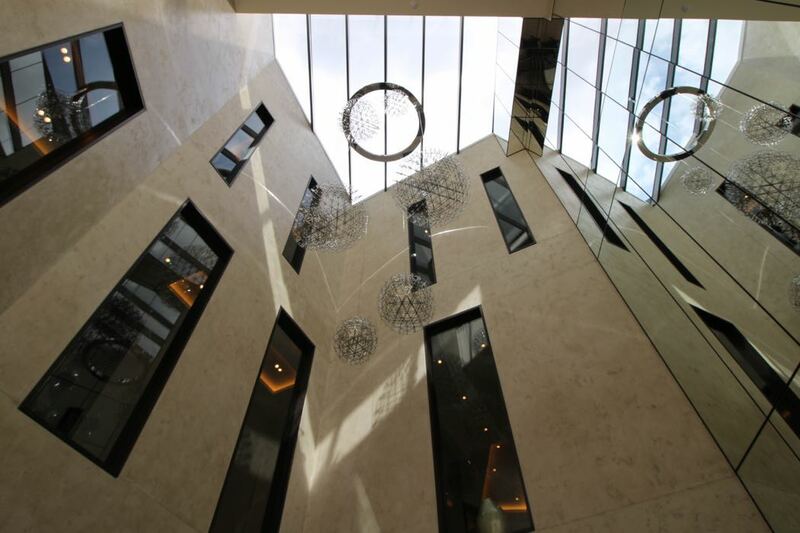 The hotel is also home to an excellent restaurant (L’Amour) and further bedrooms can be found in a second building with an equally slick finish. 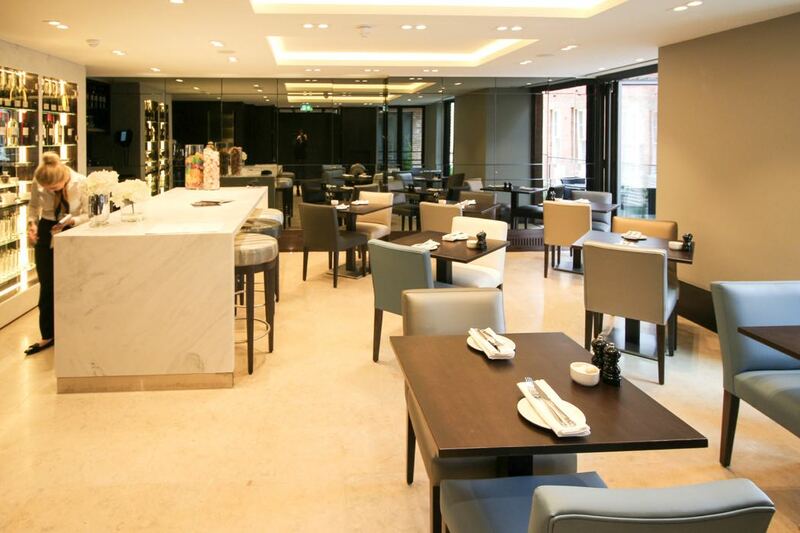 I tip my hat to whoever designed the interior of One Warwick Park. 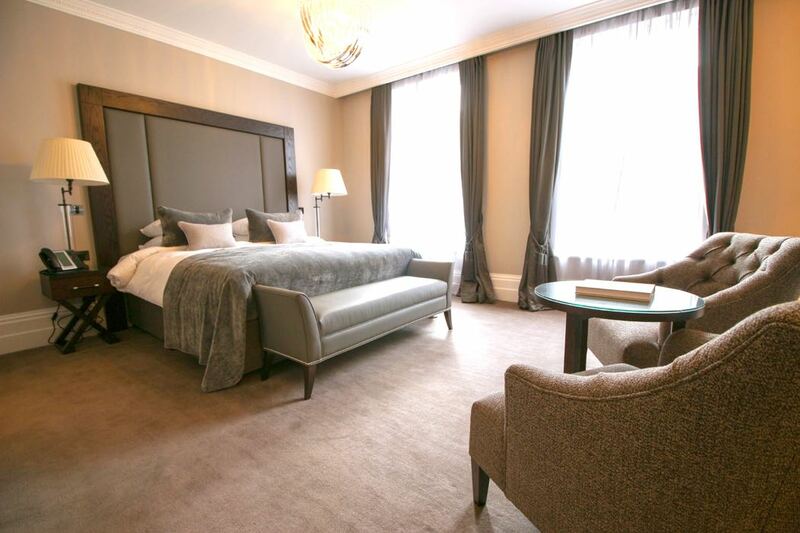 Room 212 is one of the best Junior Suites at One Warwick Park; beautifully large and sympathetically modernised. The room’s slivery carpet and pastel grey walls are complemented with contemporary furnishings, lit by lights hidden under pelmets and behind silver leaves. The complimentary tea and coffee making area is designed in dark wood, inset into the wall. Seating is provided by two comfy sofas set around the rooms fire place, paired with a small table ideal for breakfast or even a late supper in the room. 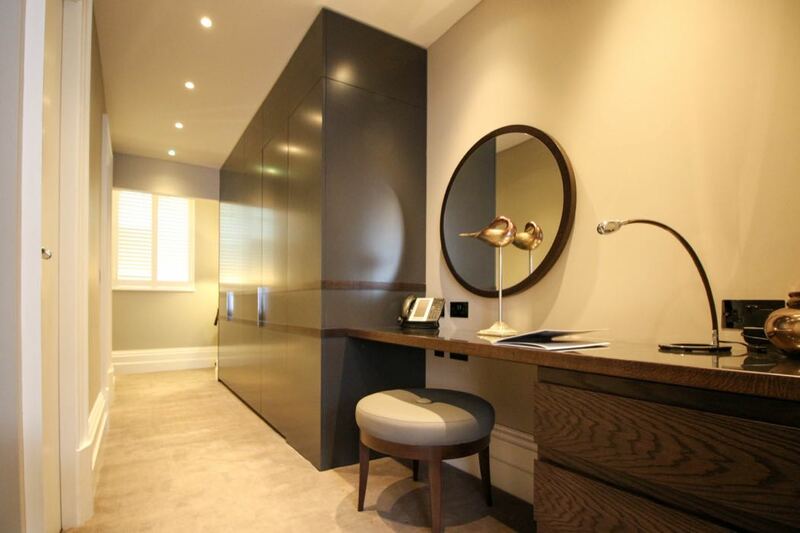 A desk and cupboards in the corridor mean a guest has everything they could possibly need during a stay. The beds here are noteworthy, being superbly comfortable, and although our room enjoys views over a busy cobbled street, the double glazing means there is no problem with noise and the view looking out onto an old bookshop is utterly delightful. The bathroom is also a highlight. 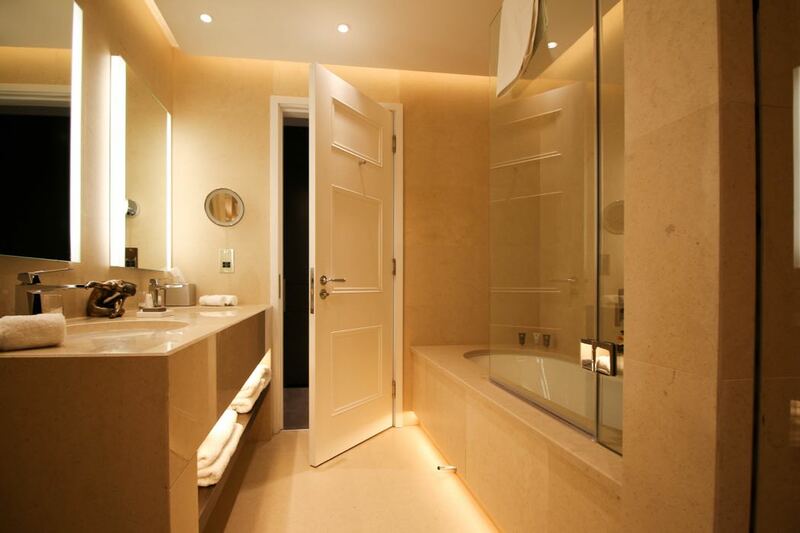 Finished in a cream marble-look surface with a wet-room shower, a large bath and a huge expanse of surface around double sinks, perfect for laying out your toiletries. 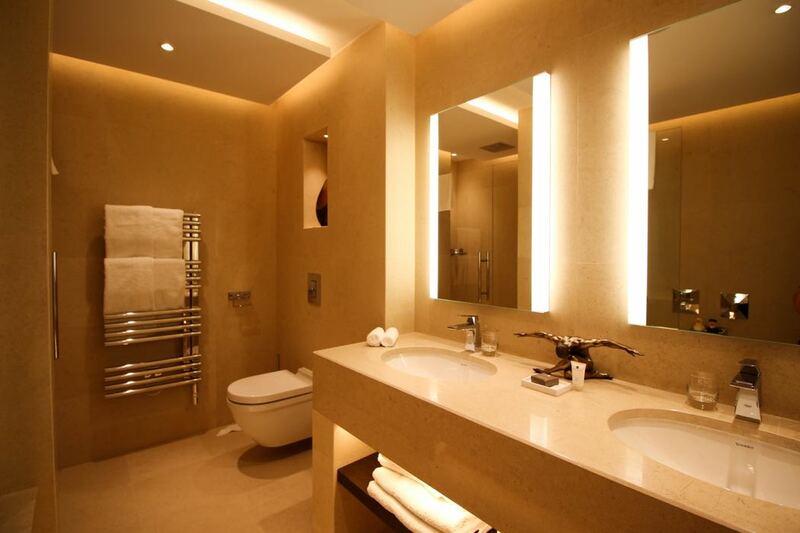 The bathroom is slick and really well designed, also offering Temple Spa toiletries. Just like the furnishings in the main room, the bathroom has a no expense spared feel to it. In a word the food at L’Amour is excellent, one of the best restaurants I’ve eaten at in Tunbridge Wells. The restaurant itself has cream marble-look floors, and the same textured grey wallpapers and comfortable seating of the main hotel. Slatted windows help the modern finish blend with the older cobblestone streets outside. 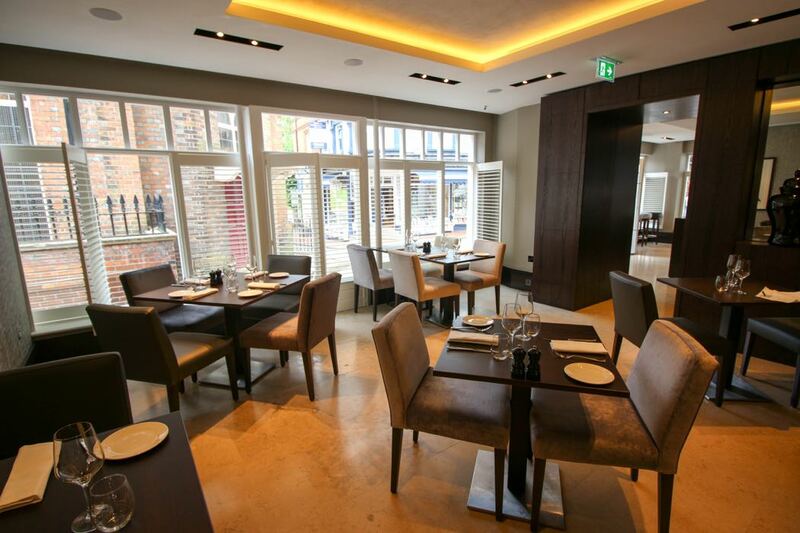 Inside everything is super modern, a sophisticated look that would fit nicely in Mayfair. 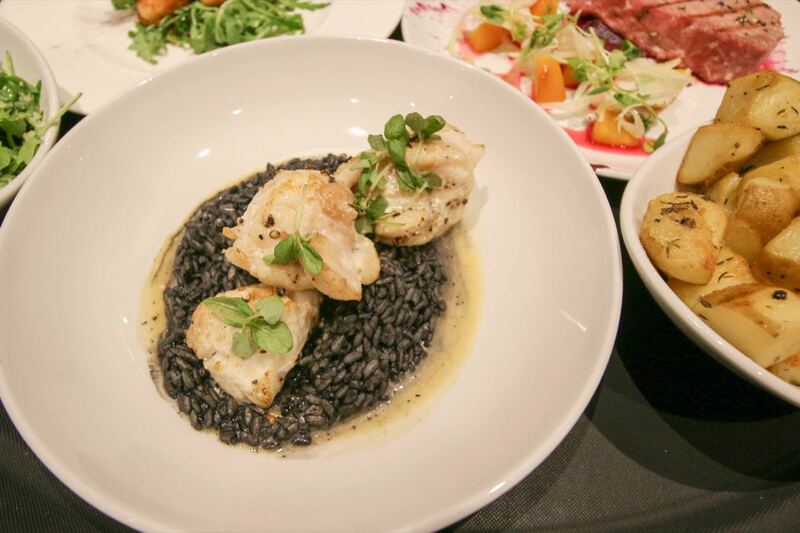 The menu is varied, catering for all tastes: steak, fish, salads and so on, but the dishes on offer have a creative feel with nice twists to tempt any diners palate. I can vouch that the tuna steak is both huge and delicious. My husband’s choice of fish with squid ink risotto is again supplied in a generous and tasty portion. The ingredients here are fresh and well cooked. 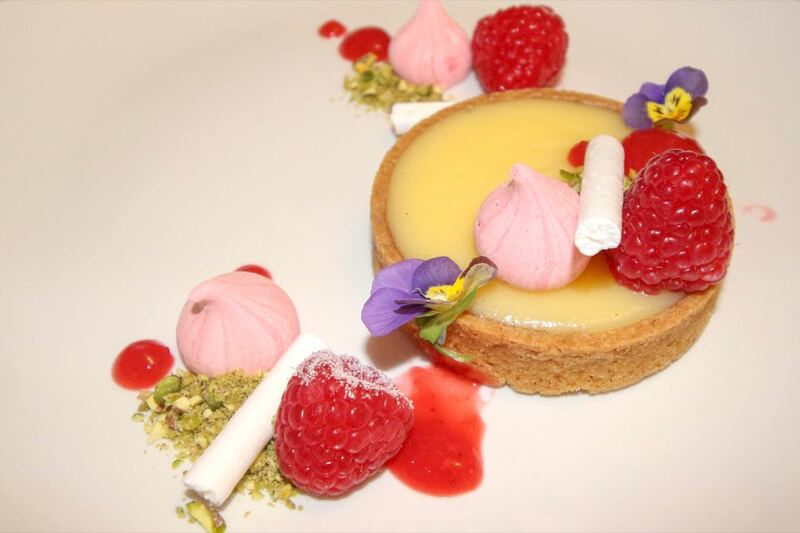 The deserts at L’Amour in particular have a touch of flair. Our choice of a delicious lemony tart with raspberries perched on top and a chocolate, banana and caramel dessert that simply melted in your mouth is highly recommended. Breakfasts here are also excellent and generous with all the usuals including full English and eggs Benedict. A varied buffet offered pastries and cereals alongside delicious smoothies and all the regular juices and beverages. 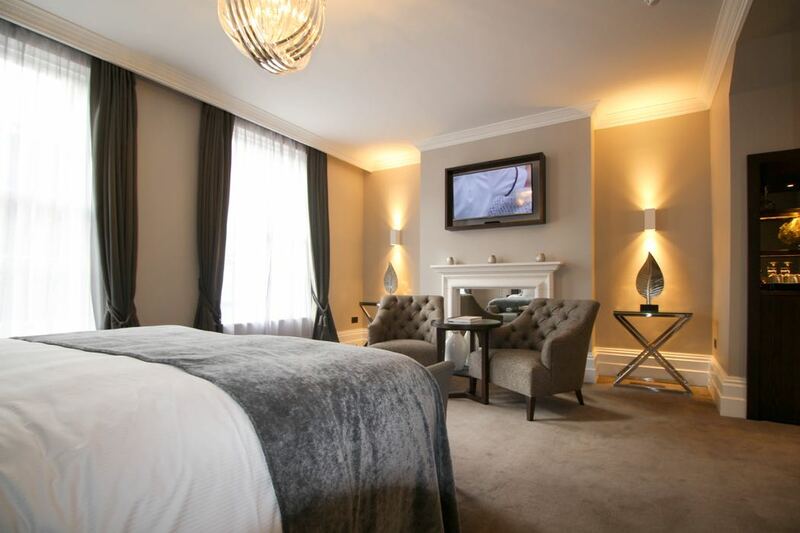 The hotel is right in the centre of the prettiest part of Tunbridge Wells and offers an extremely comfortable bed in a luxurious and immaculate environment with an excellent restaurant. The Pantiles: a french style piazza with plentiful bars and restaurants, is literally a few steps away and a wonderful place to relax on a summers evening with a drink or two. And lets not forget that Tunbridge Wells is in the centre of the rolling South Downs with all the attractions of country walks, National Trust castles and country houses it offers. 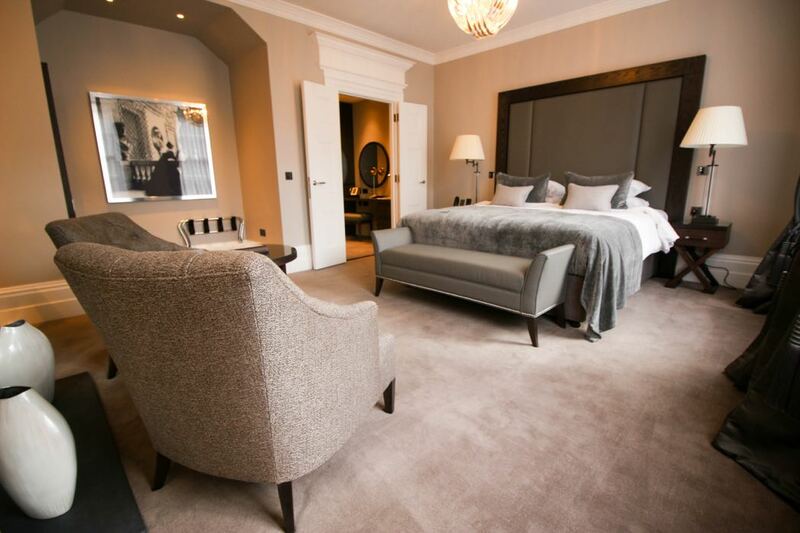 Whatever your reason for choosing Tunbridge Wells as your destination, One Warwick Park is a luxurious place to lay your head.